I have to be up front and say this isn’t something I came up with myself. 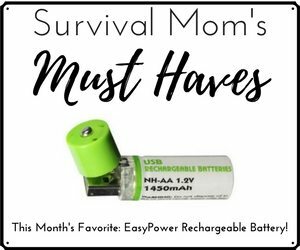 I learned it from my good friend John McCann over at SurvivalResources. 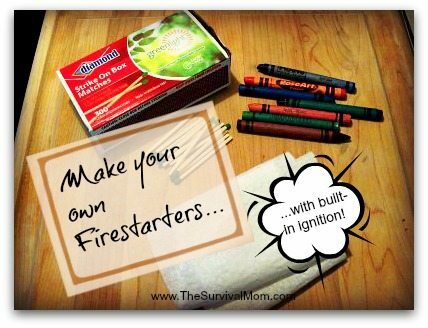 This is a very simple DIY project that produces a fire starters that have their own ignition source as well as accelerant. 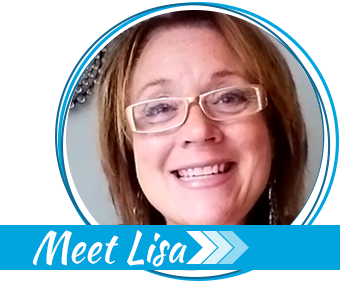 Plus, the finished product is completely waterproof until you’re ready to use it. Your first step is to get the wax melting. 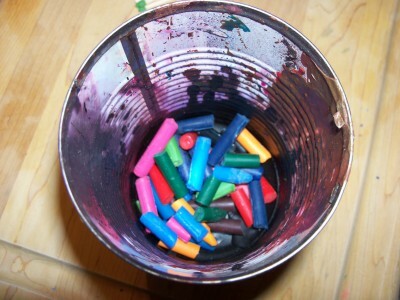 What I’ve found works very well is to use old crayons or broken candles. 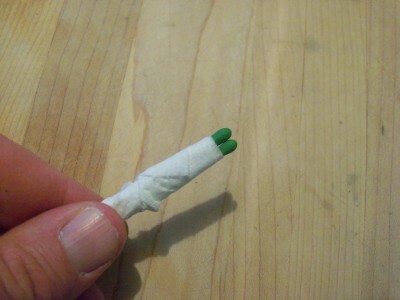 Remove any paper wrapping and break them up into small pieces. 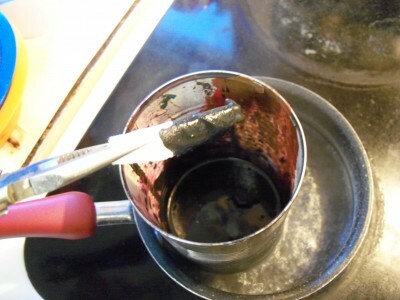 Put these pieces into a clean and empty soup can, then place the can into a pot with a couple of inches of boiling water. 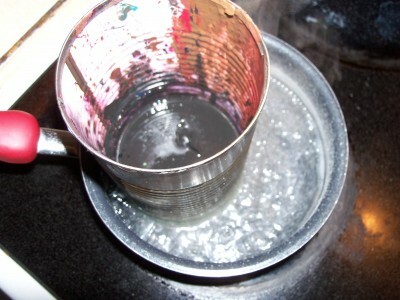 As the wax begins to melt, stir it with a twig to break up the chunks until it is smooth. 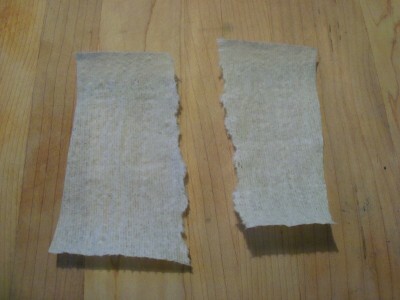 Once the wax is melted and ready to go, take one square of toilet paper and tear it in half. 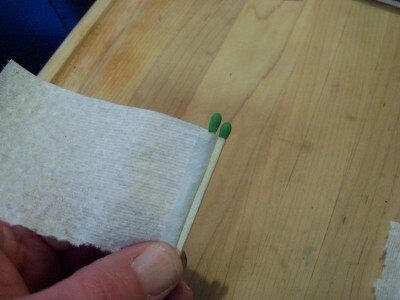 Pinch one end of the toilet paper between two strike anywhere matches so the paper rests just at the bottom of the match heads. Roll the paper around the matches somewhat tightly. 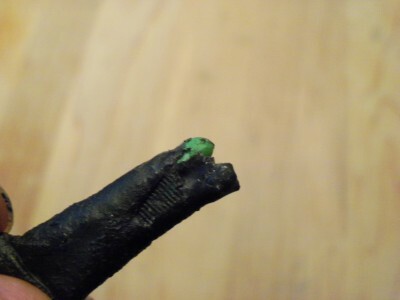 Using a pliers or tongs, dip the matches head first into the melted wax. Go as far down as you can without dipping the pliers into the wax. 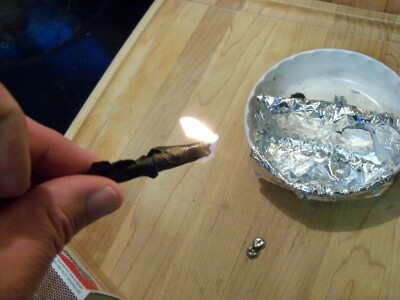 Then, lay the matches on a piece of wax paper to cool. 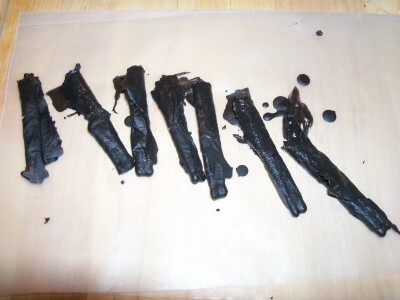 Once the wax on the matches is hard, reverse them and dip the exposed ends into the melted wax, then again lay out to cool. When you’re all done, the matches should be completely sealed in wax. To use, simply rub or gently scrape the wax off the match heads and strike the matches as you normally would. Hold the burning end down slightly so the wax and toilet paper ignite, then place the whole thing where needed to light your fire. These DIY fire starters will burn hot for several minutes, easily enough time to get your fire going. Plus, no burning plastic or other chemicals! 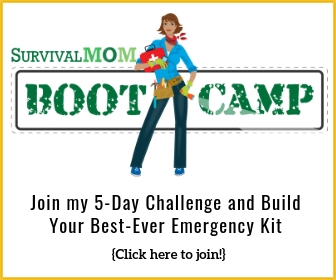 Jim Cobb is a disaster preparedness consultant and author. 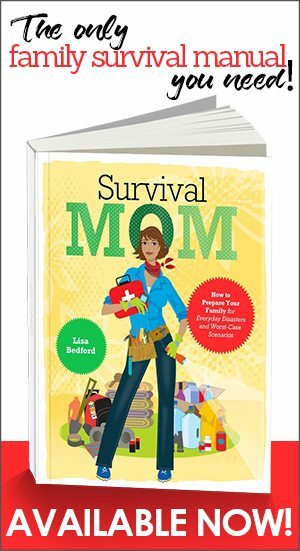 His books include Prepper's Home Defense, The Prepper's Complete Book of Disaster Readiness, and Prepper's Long-Term Survival Guide. This is fantastic! I’ve never seen one with fuel and ignition together. I’m totally trying it this weekend. 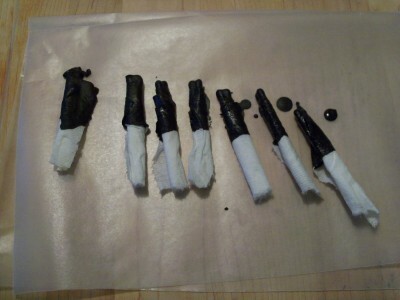 BTW… I mentioned to someone recently the method of making waterproof firestarters out of plastic straws filled with dryer lint and Vaseline. She said : ” Oh no…no, no, no…you make them in paper egg containers with wax and store them in baggies”. She was very agitated and defensive. Is there a reason to not just leave the striker head unsealed and just cover the rest in the wax? So that they stay dry until the moment you need them. Otherwise, an exposed head can get wet and be ruined.